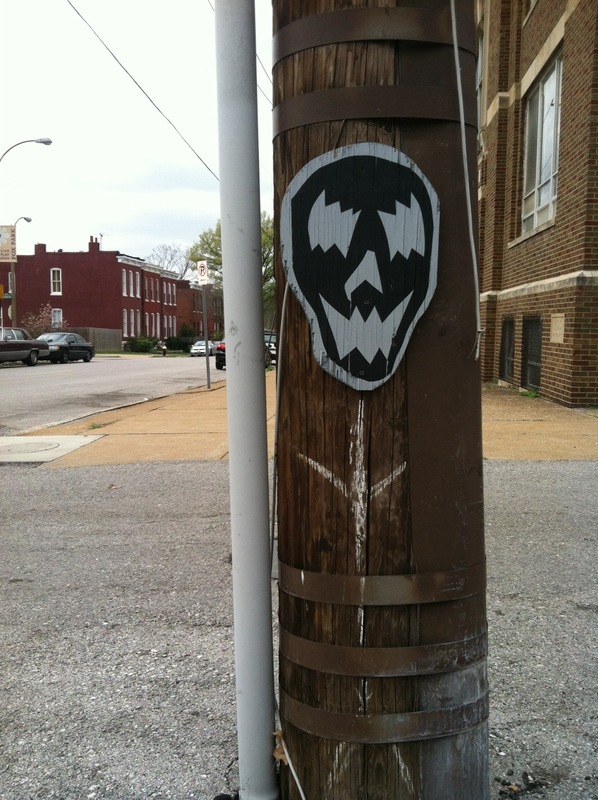 This Venom-like creature was spotted at Shenandoah and Jefferson across the street from Kakao Chocolate. He’s really scary looking, but luckily he has an oddly thin and short body, so he was pinned to the light pole with those metal loops. Scary to think what he could do if ever released. What’s the Deal With This Billboard on Gravois?